Restore a more youthful appearance. 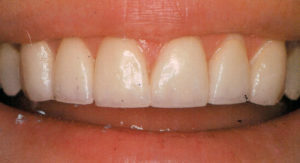 Smile recontouring is another very simple and easy way to improve your smile. With an artistic flare, the top edges of the front teeth are reshaped (with a very small diamond disc) recreating the rounded more youthful shape your teeth once had. 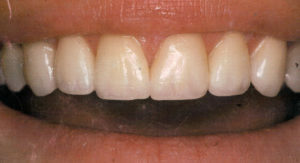 As teeth age, many times the edges of the front teeth are worn flat and the edges become square. 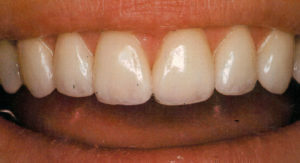 Reshaping natural teeth can quite easily restore a more youthful appearance.